Producing and distributing a decade of moving image works calls for a celebration! 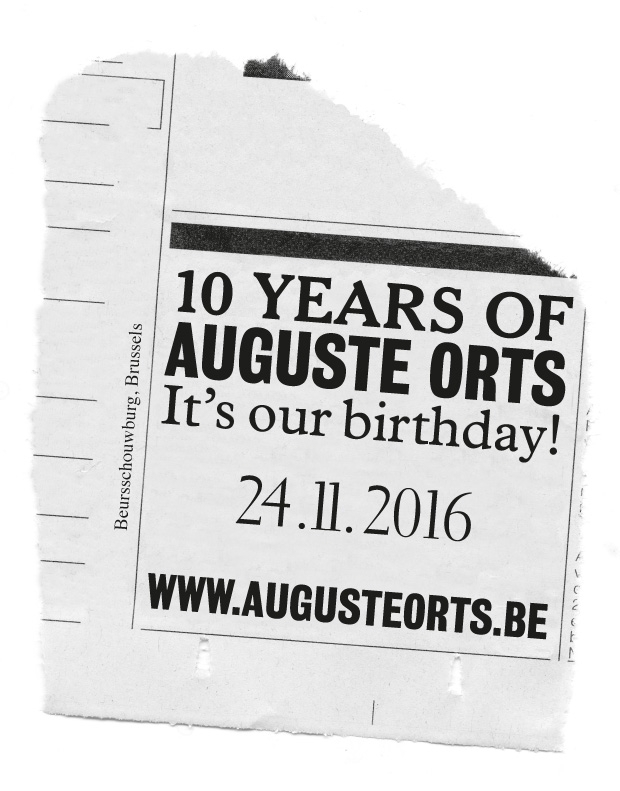 Join us for 10 Years of Auguste Orts on Thursday 24 November 2016 at the Beursschouwburg in Brussels. It will be a joint celebration as our European project On & For Production commemorates 2 years of achievements by launching a publication. We welcome our partners, collaborators & friends to raise a glass together, watch brand new Auguste Orts productions and join us on the dance floor! We hope to share our evening with you!